Average size: 15.2-16.7 inches, 2.5-3.8 lb. He was estimated at 3.3 pounds on our 30 week ultrasound. 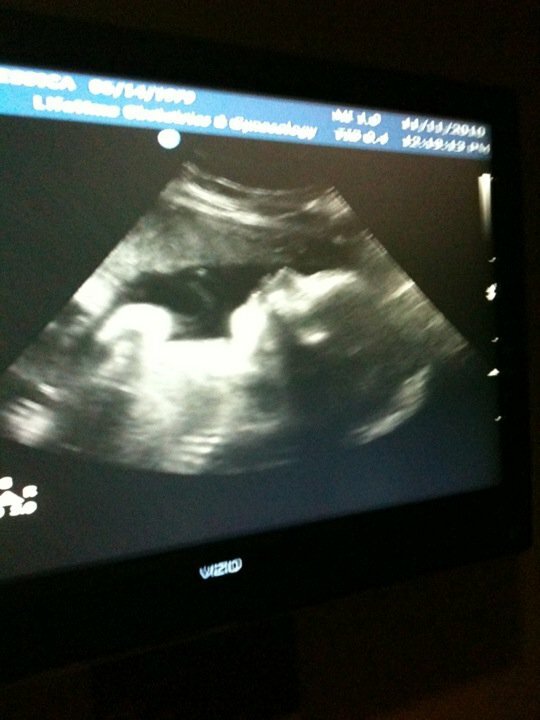 Best Moment this week: Getting to see him again on ultrasound. It really is amazing to see God's amazing creation forming right in front of us. Movement: Yes. All the time. He's an active baby, which is so reassuring and yet painful at times, since he seems to kick and punch a little harder than he used to. I've also began to notice him having the hiccups, which is a weird feeling! Daddy also felt him move for the first time, which I was so excited about! Food Craving: Still no real cravings. Eating is not so much fun right now since I don't seem to have a lot of room. I'll eat half of a meal and then can't breathe for the next 3 hours because I'm so uncomfortable. What I am looking forward to: There's not much going on this week, just trying to get more stuff organized for the nursery. Symptoms: Definitely having more back pain these days. I also have a general mild swelling of my feet now as well. Time is flying by and I admit I get a little freaked out seeing how few days we have left. Especially knowing that he could come anytime after the next 6 or 7 weeks. It's a little scary! I can't wait to meet him and see what he looks like and find out if his personality matches the one that we're seeing now when he's inside of me. Here is a picture from his most recent ultrasound. I'm a little biased, but I think he's adorable! I think he has his daddy's profile. You look beautiful Jessica! 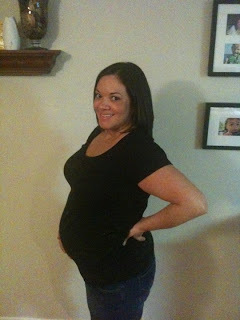 You are going to love being a mommy and will be a fantastic one! I love following your blog.